Let’s groove on spinning 5 reels of buzzing Cashapillar Slots Machine. Take the gainful invitation to the most uncommon birthday party powered by Microgaming. 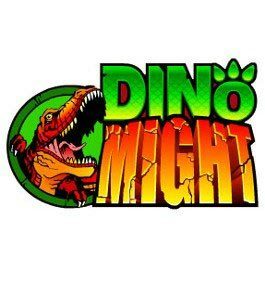 Brighten your day with good mood, coins wins and unforgettable impressions while getting profitable joy at this no download game. Celebrate 100th birthday, snuff out 100 candles on the delicious cake and 100 paylines to get a lot of fun and money gifts. 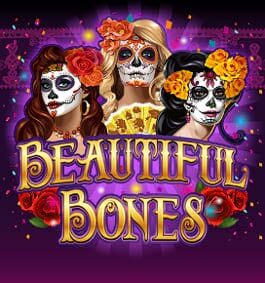 Moreover, here you can get such attractive presents as Free Spins, Multipliers, stacked wilds, Gamble Feature and a host of crazy emotions. Hurry up to the dizzy birthday bash that starts right now! Many funny and cute insects as Ladybug, Wasp, Rhino Beetle, Snail and card suits from Ace down to Ten are crowding on sail to Caterpillar to congratulate on the birthday. Moreover, the whole caboodle can bring you various cash wins. Dance and fun with this profitable clique! Here you can take part in profitable entertainment show and gift our birthday boy… But before that you need to place a stake. Yeah. This party can be pretty gainful for you in the way. So, activate all 100 paylines and fix up to 10 coins per each line to gain more. By the way, you can increase your bet choosing the value for coins betted between $0.01 and $0.02. 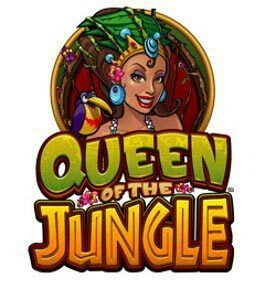 Play with max bet of $20 per spin and try to hit the largest money prizes as the top jackpot of 1,000 coins or $200 for 5 Caterpillars on the reels! Risk, thrill and win. Cashapillar Logo will turn your bored time into real holiday, because it’s a wild symbol that can bring you doubled wins and non-stop fun when replacing in the combo! The Logo substitutes all other symbols, except scatters, to create more and more winning combinations. Moreover, it can also stack across all 5 reels making them wholly or partially wild to bring you joy and profitable fun. Set the maximum stake and use it wisely to try to grasp up to 2,000,000 coins. Yeap. Craziness starts! 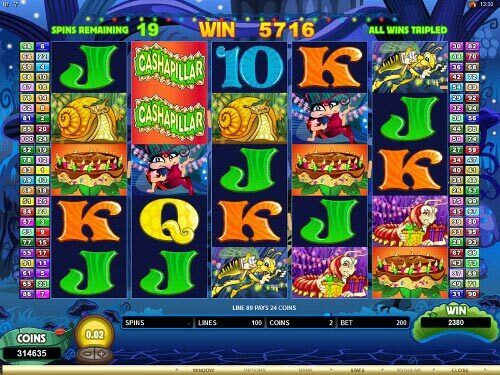 Cashapillar also cooked extremely gainful Cake that awards you with dizzy payouts and bonus round with Free Spins without creating any combos and nevertheless paylines activated. As you could guess, it is a scatter symbol at the party. Delicious 2x, 3x, 10x and 100x Multiplier for your total stake can enrich the celebratory dinner if you catch 2, 3, 4 or 5 birthday Cakes accordingly. Plus you need to collect three birthday Cakes anywhere on the reels to start the most profitable entertainment show of Free Spins. Free Spins. You can get a truly awe inspiring 15 Free Spins at 3x Multiplier by catching 3+ scattered and delicious Cakes. Take the gift and try to grab mind-boggling prize of up to 6,000,000 coins playing at the max bet. Oh, by the way, only here Cashapillar Logo can award you with up to 6x Multiplier for your wins when substituting. Do you want to extend the birthday bash and get gainful after-party? All you wish. Everything you need to do to get it is to re-trigger the feature by collecting 3+ scatters during free games. Keep getting fun, because your hits can be amazing! Gamble Feature. Doubled prizes and adrenalin buzz… Try your intuition and luck playing at risky and money-making Gamble Feature. Let’s groove on and make money while getting fun playing online Cashapillar Slots. You can join the birthday bash at any trustworthy Microgaming casino from the selection here. So, hurry up to party and profit with joy! Yeah, only a caterpillar can celebrate its 100th Birthday. Yeah, I have been experiencing this game for a while, and I can definitely say that its features meet my gambling ideas for 100%. 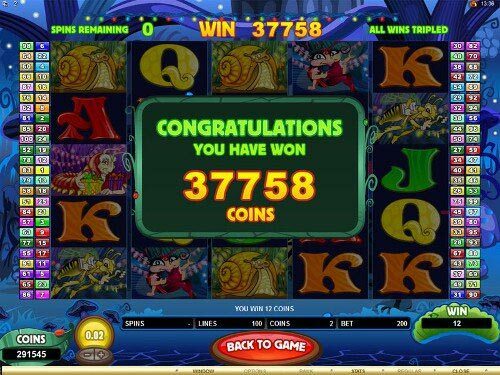 The coin values give a chance to experience both $10 and $20 stakes, besides, I can even win $200 top jackpot, and… I DID IT! This benefit made my day for sure. Still, it happened once, but I manage to strike scatter Multipliers pretty often. You know, maybe, new games provide more feature, but this one assures winnings and that is what I like. I’m a fan of Microgaming creations. Being a real player for about 5 years, I remember the time when Cashapillar Slot was just released. It was really fresh and intriguing. It has 100 paylines (!!!) – it was a true innovation. Yep. All that because it was far 2008… I like the game though there are lots new slots with better graphics and animation appeared. 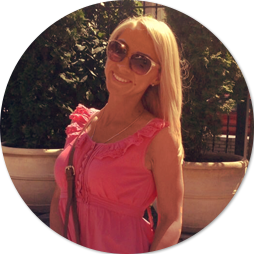 Free Spins along stacked 2x Wild Multiplier can fill your pockets with cash :))) So, try the pokie – it’s worth your attention as for me! I got asked for Cashapillar Slot launching? It has 100 paylines and, believe it or not, 5 reels 😉 Those who aren’t on the know, the game release was two decades ago, in 2008. The icons, other object graphics is poor and hasn’t impressed me much. By the way, you may play Microgaming Lion’s Pride as opposed to it. It has the same 100 lines and low stakes. It has the $125 jackpot, but the max bet is $10 vs $20 in Cashapillar. Hey, guys! Can someone explain how exactly can the wild symbols act like a booster in Cashapillar slot? See, if you catch 3+ Birthday Cake icons, you will enter 15 Free Spins. This feature will make it possible for you to take spins without placing a bet. And once there appear the Cashapillar Logo (aka wild symbol) substituting for any other sign and completing a winning combo, it will award you with up to 6x Multiplier. Please, mind that this thing is active only when you are enjoying the bonus game. I would dispute about the Gamble Feature benefit. Has anyone liked it all? Most of the times, I lost all my wins collected in that way. I am a gambling optimist 😉 ahaha. 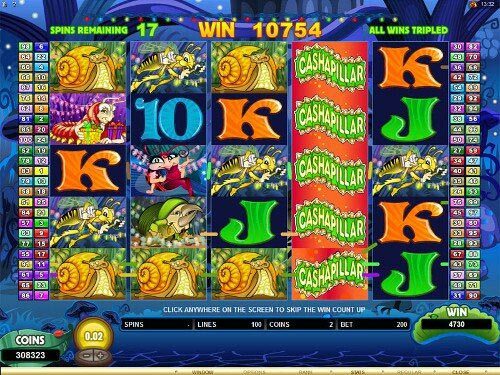 Some players look at the top jackpot and think that this slot is not worth trying. Well, my friends, I don’t think so. You can be lucky enough to hit 3 scatters and get 15 Free Spins. Is that still uninteresting for you? And how about 3x Multiplier, which comes along and is matched to each win?! Another thing I consider a great privilege is the possibility to re-trigger the bonus by collecting more scatters. With a tiny bet placed, you can count on large cash wins. What else do you want to get? All that buzz about the paylines… Hey, isn’t 243 win ways machines have better odds for winning the jackpot. 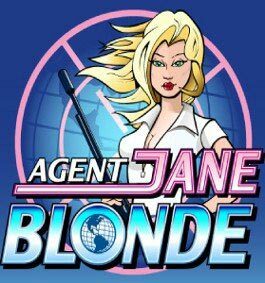 I have launched Game of Thrones, Archer, e. g. Basketball Star has the Wild Shot, Rolling, Free Games (25 Free Spins) and the jackpot is $3,000, the stakes are affordable too. You know tastes differ. It’s like a classic movie!!! Have you ever thought about why this game is on top still? 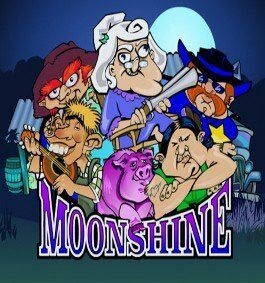 Today there is a huge amount of new games by Microgaming, but real players choose this one though it’s “old-lady”? So, if you don’t like it, you are free to try anything else, but I like this game a lot. Maybe, because of low stakes possible and pretty good features to trigger. Yeah, winnings are not so impressive, but still there is a good chance to hit them thanks to 100 paylines! My comment is in your support, Maggy. 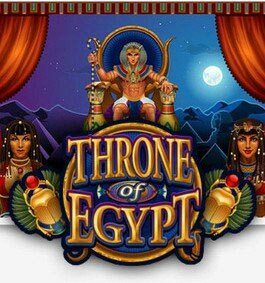 When you have the limited circle of games, I am talking about mobile games, the Cashapillar is much better than the Untamed Crowned Eagle Slot with 243 winning ways. It has no download, HTML5 format, though being old. Anyway, the nice design with a low payout of the new entertainments, lack of features make people return to Cashapillar back.
. Are you for real? I don’t understand how gamblers can select such old games leaving aside new, more interesting and beneficial releases??? Microgaming provides fresh slots each month, guys, each month. And you are still talking about a boring one, which was released in 2008. Well, in case 9 years are not so many for you, you can still play it. I prefer more modern alternatives. But if we talk about Cashapillar slot that’s another pair of shoes. Here everything is simple and clear. Scatters to multiply your stake and trigger 15 Free Spins with 3x Multiplier + stacked wild to complete your winning combos and double it. What else you want to enjoy your time? Who knows how to enter the Free Spins? Do you get 15 Free Rounds and that’s all? About what Cake symbol is going on in the review? You know there is the stacked wilds? Can I have them on the specific reel or not? “Stacked” feature supposes 2 or more wild icons after each other on all Cashapillar reels. The only thing I love about the slot is its Multipliers. The bets are low, as well as the jackpots are. And the possibility to strike a booster is rather obvious. You don’t need to hit winning combinations, just catch scatters. Besides, during the Free Spins, the wild also has a power to provide a Multiplier. So many chances to use! Wow, guys, am I alone who has missed the info about 6,000,000 coins or $120,000 win per the feature? How is it calculated? If the Free Games are re-triggered.